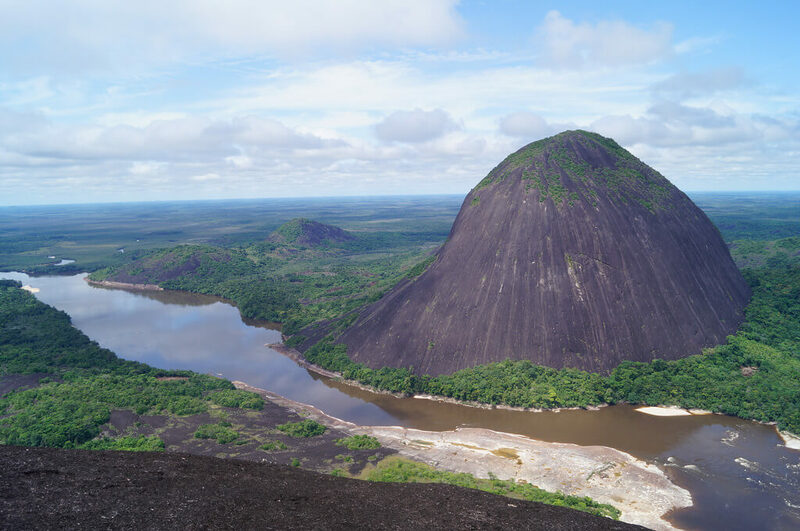 The Cerros de Mavecure have only recently appeared on the radar of most travellers, since appearing in the 2015 film Embrace of the Serpent, which won numerous awards and really showed off the fantastic scenery of eastern Colombia. The three hills, Mavecure, Llanito Pajaro and Mono, range in height from 250 to 700 metres, in an otherwise flat landscape. The only way to reach them is by boat from Inirida, about 1 ½ hours downstream, and there is a small airport here with direct flights to Bogota. Booking through a tour operator is the only way to visit the cerros with a guide, and packages usually include 2 or 3 nights exploring the area, camping in hammocks. 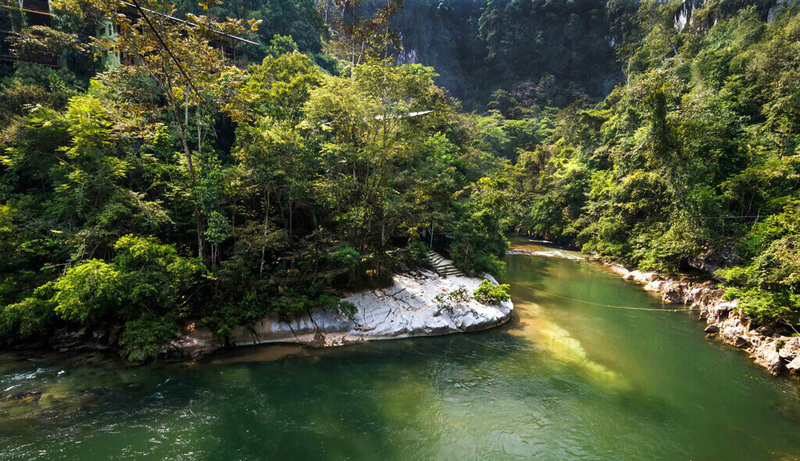 The Rio Claro Nature Reserve, located between Medellin and Bogota, is one of Colombia’s hidden gems, perfect for wildlife enthusiasts and adrenaline junkies alike. It is a privately owned reserve which has successfully preserved a large portion of rainforest in the central Andes of Colombia, an area which had previously suffered huge levels of deforestation. The reserve is now made up of a series of refugios, cabins and a restaurant, running alongside the Rio Claro, which is a fantastic spot for rafting. There are plenty more activities on offer as well, including caving, zip-lining and trekking. Roughly 100 miles southeast of Medellin, it’s easy to visit Rio Claro for a few days as part of a longer itinerary in Colombia. Leticia is about as far off the beaten path in Colombia as you can get, located at the very southern tip of the country, on the border with Peru and Brazil. The city is located on the Amazon River and can only be reached by plane from Bogota or by boat from one of the neighbouring countries. Leticia is used as a base from which to explore the jungle and there are some good lodges close by which are a great option for wildlife enthusiasts. 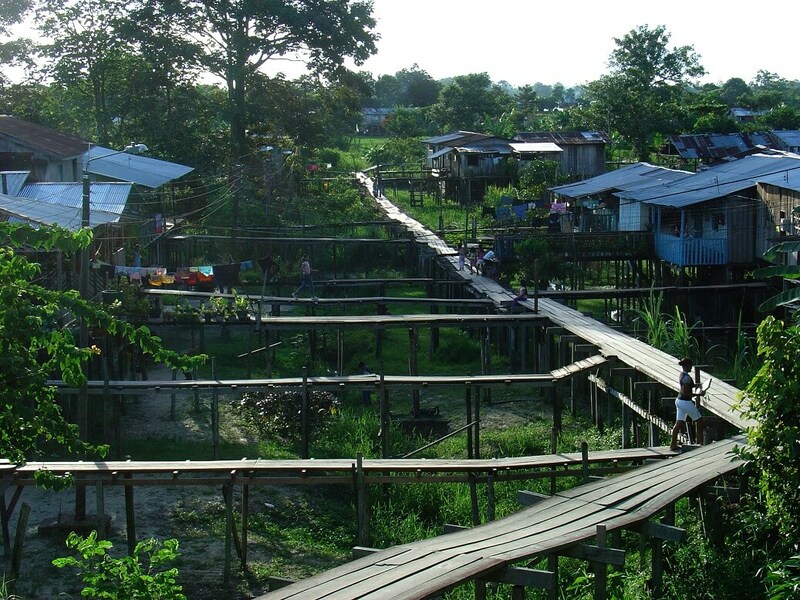 Unlike other Amazon settlements in nearby Peru and Brazil, Leticia feels very “untouched”, and tourism isn’t the main industry here so you’re really visiting a working city. The infrastructure is limited and most of the locals don’t speak English, but it’s a great alternative to Manaus or Iquitos for those really wanting to get off the tourist trail. 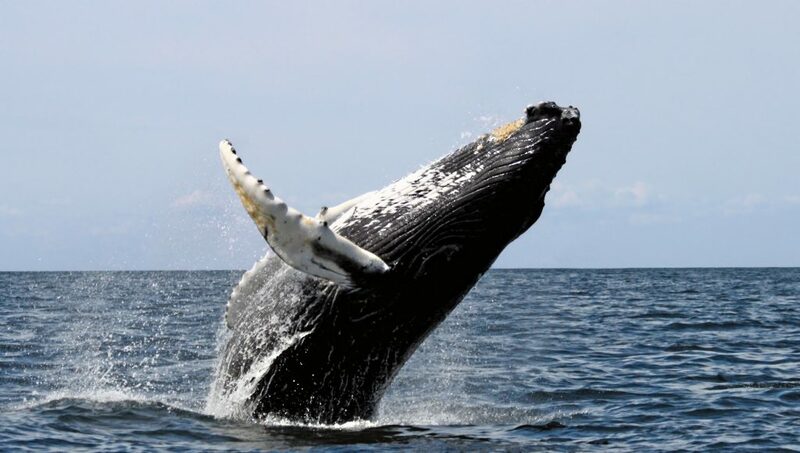 Most beach-lovers head to the north Caribbean coast of Colombia for pristine sandy beaches, but the Pacific Coast also has some fantastic beaches, and is the best spot in Colombia for humpback whale watching. The area of Bahía Solano, in particular the beach town of El Valle, is a great place to stay for a combination of whale watching, exploring the nearby reserves, and enjoying the beaches. The whale season is between July and November, and the weather around this time is hot and sunny with occasional tropical storms. There are direct flights between Medellin to Bahía Solano with Satena, taking less than an hour, so although the area is remote and peaceful it’s still easily accessible for tourists looking to get off-the-beaten-path in Colombia. 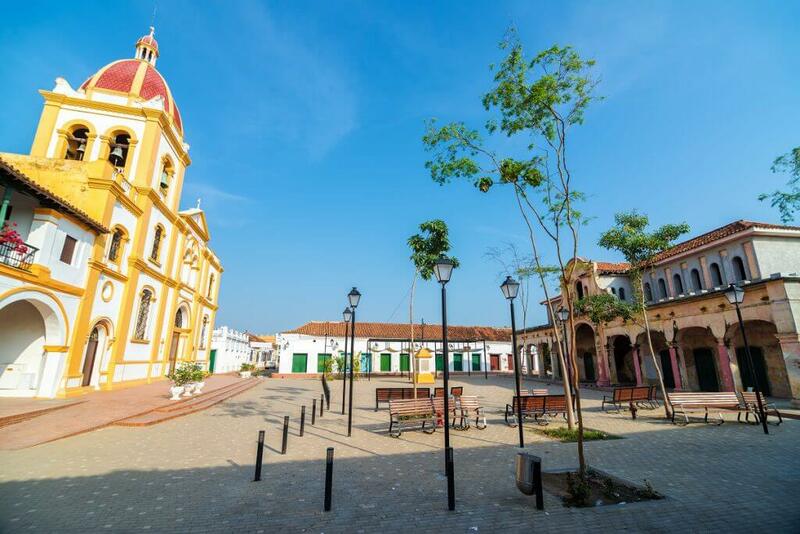 For a taste of old Colonial Colombia, Mompox, on the edge of the Magdelena River, is a fantastic choice. It’s a town that time forgot, having once being one of the most important trading ports in the country. Most of the architecture has been beautifully preserved, and the pace of life here is very slow and traditional, a stark contrast from thriving Cartagena. There is no airport near Mompox, so getting here involves a 6-hour drive from Cartagena, heading inland southeast. Although there are public buses which serve the route the best option is to book a tour with a guide, which means you can stop along the way and learn a little more about the fascinating history of this lovely place. Unknown to most people are the collection of lovely little Caribbean Islands belonging to Colombia, including the paradise isle of Providencia and the snorkelling hot spot of Rosario. Read more here! Still not sure if Colombia is for you? Colombia has done incredibly well to shake off its bad reputation, but many people are still put off by its turbulent history. But don’t let what happened in the past put you off visiting this incredible country! 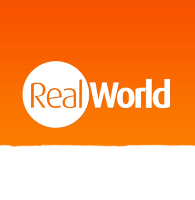 Read more about safety in Colombia here.